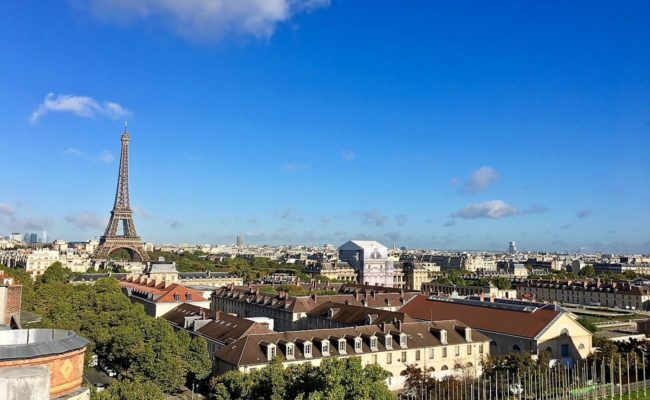 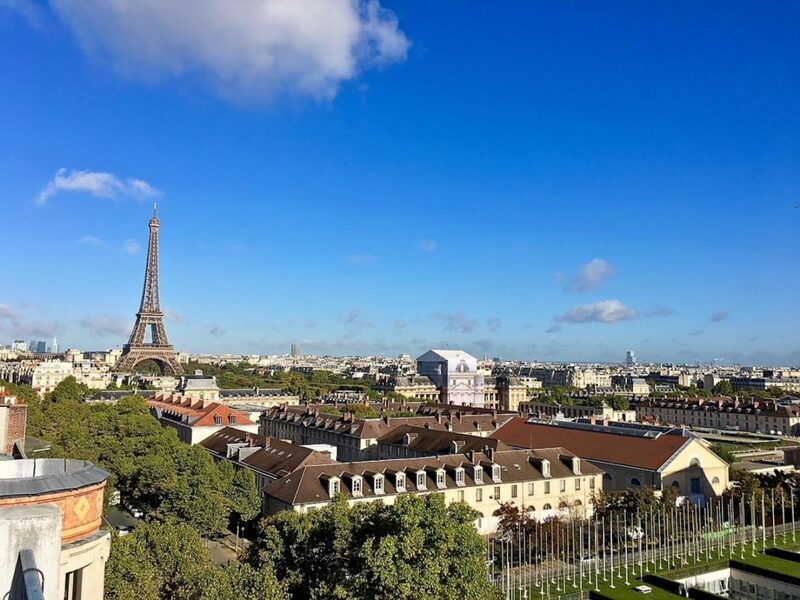 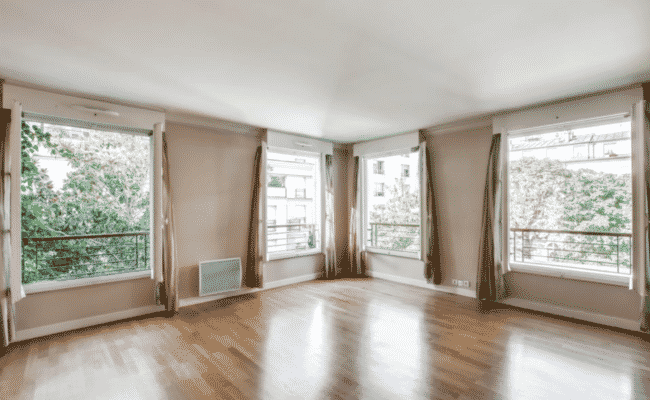 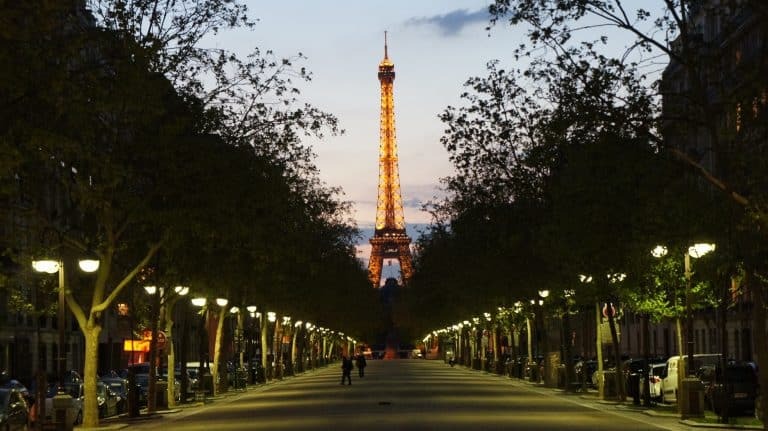 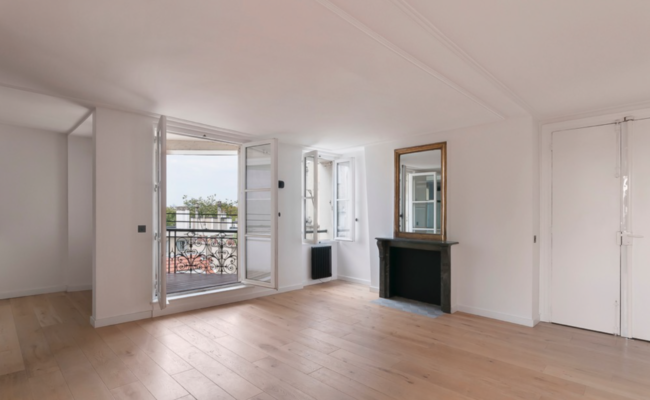 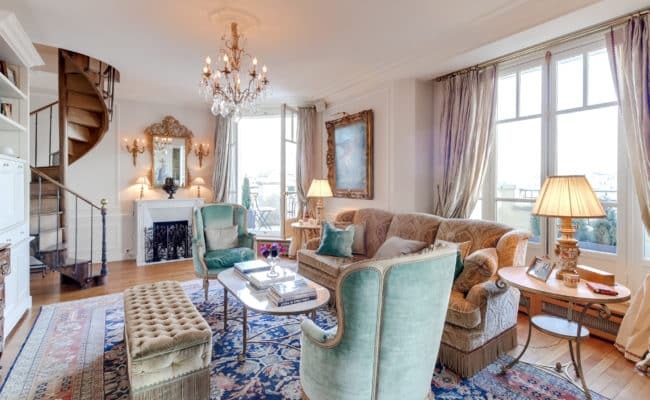 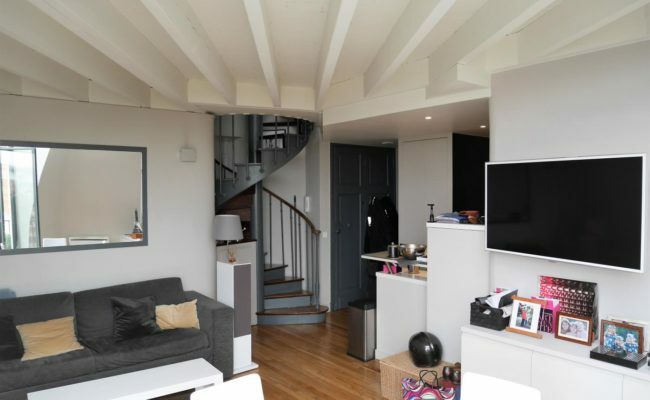 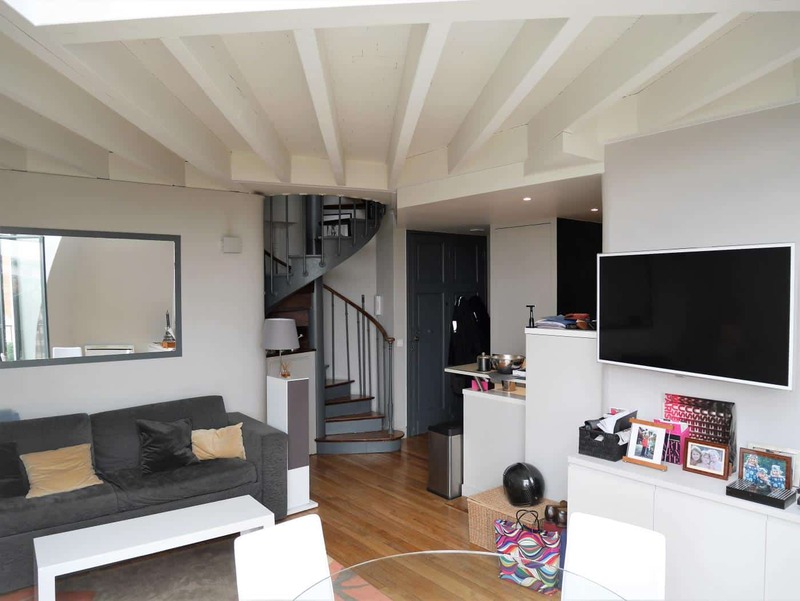 Three bed, two bath: 73 m2 top floor property with cathedral ceilings, terrace and exceptional views of Paris and the Eiffel Tower. Three bed, two bath: 73 m2 top floor property with cathedral ceilings, multiple terraces and exceptional views of Paris and the Eiffel Tower. 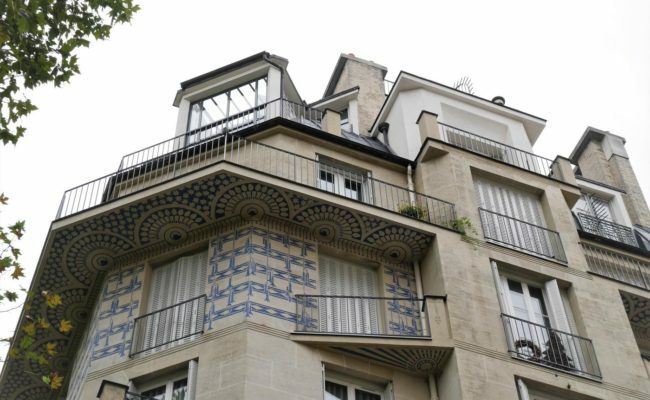 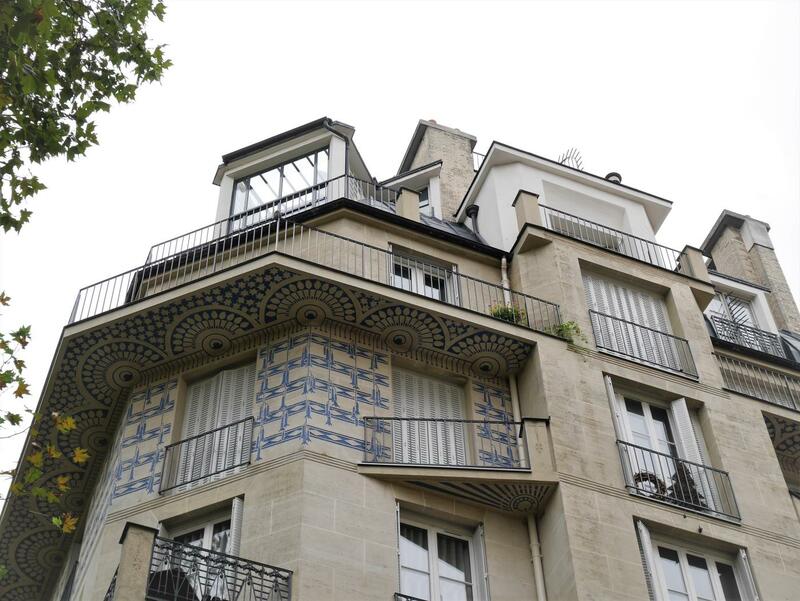 Located on Avenue de Suffren, near UNESCO, a tri-level property on the top floors (with elevator) of a beautiful stone building by architect P. Auscher. 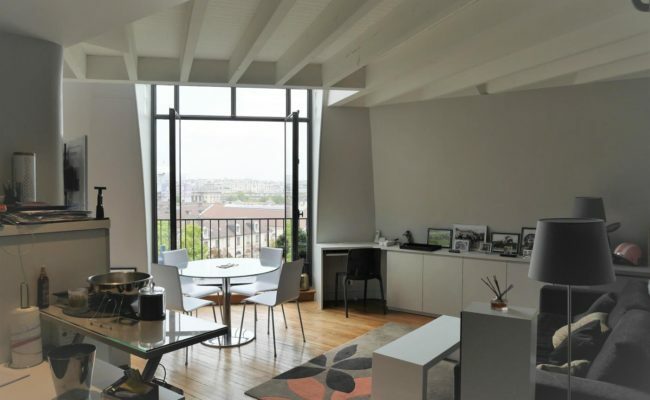 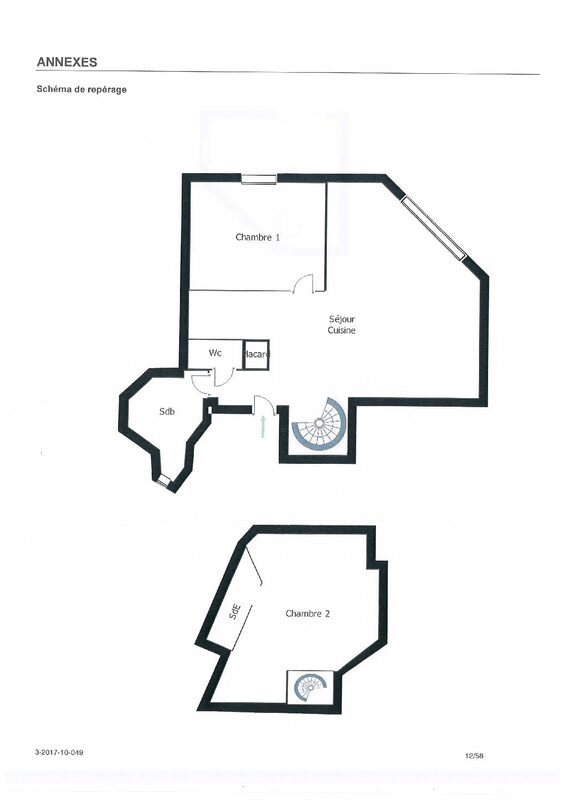 On the 7th floor: an entry, living room with cathedral ceilings opening onto a 5.5 m2 balcony / terrace, fully equipped kitchen, bedroom and a bathroom. 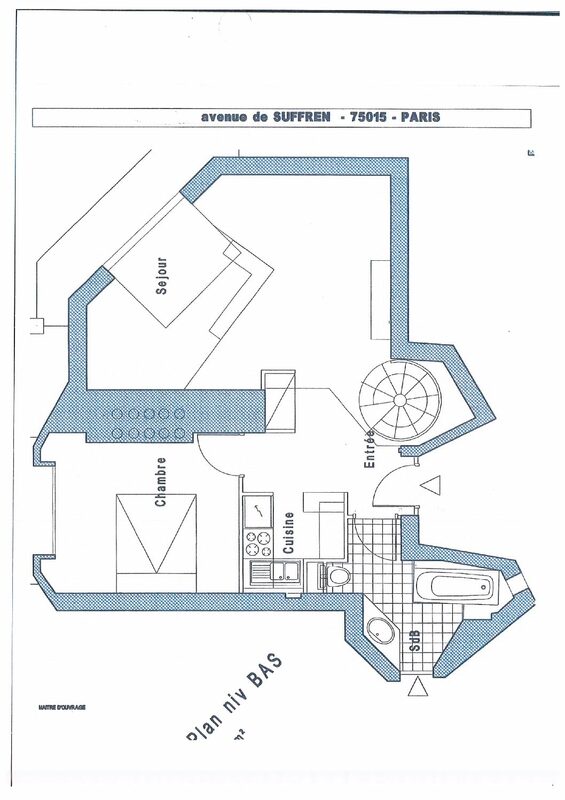 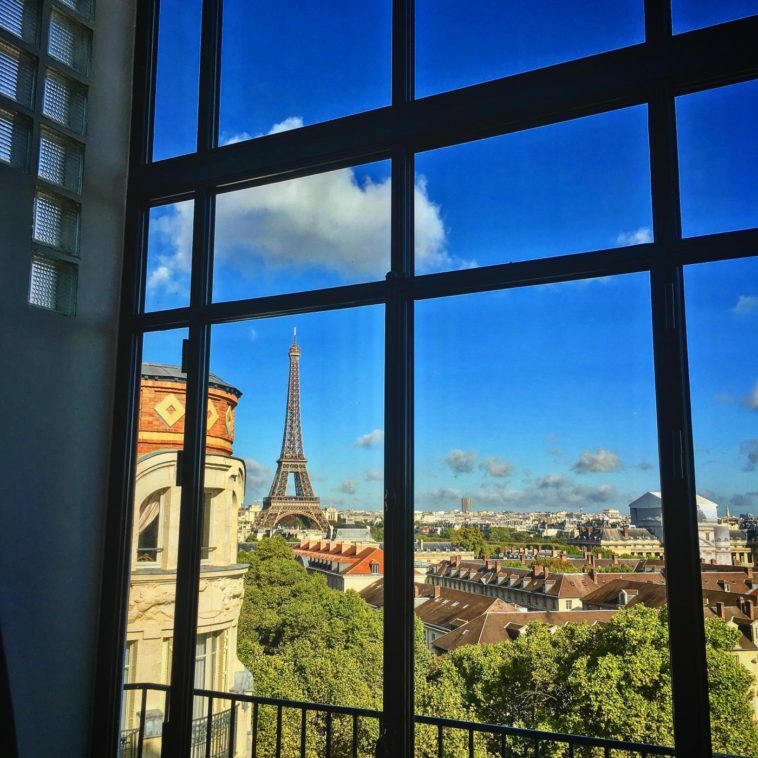 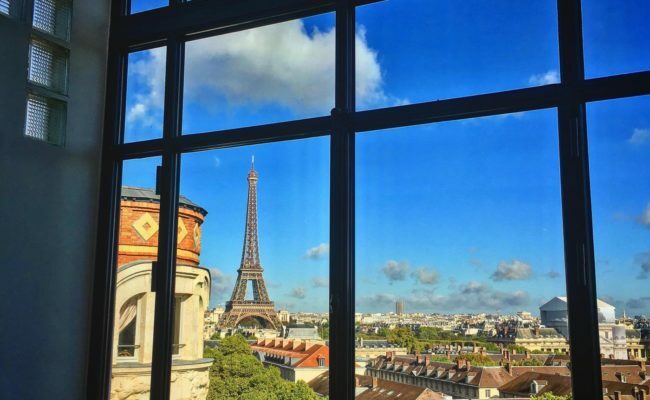 On the middle level: a mezzanine bedroom with bath, and wall of glass and vue of the Eiffel Tower. 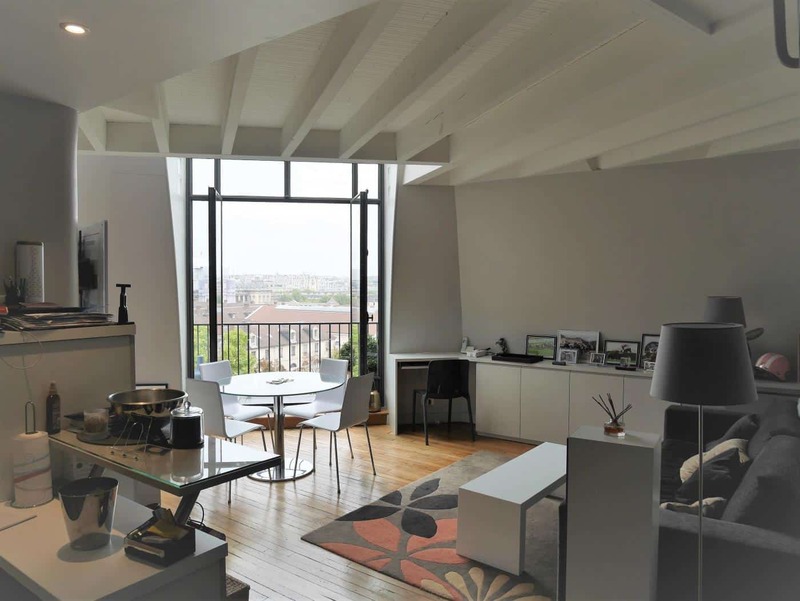 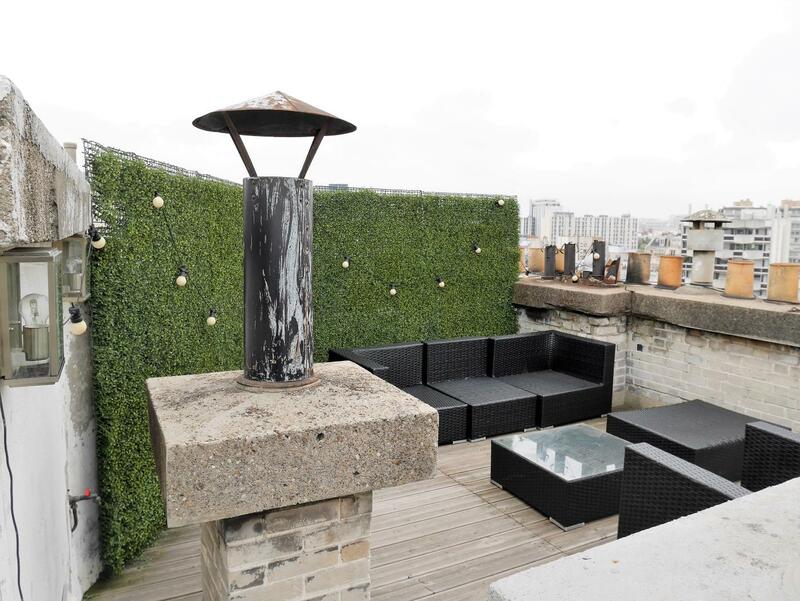 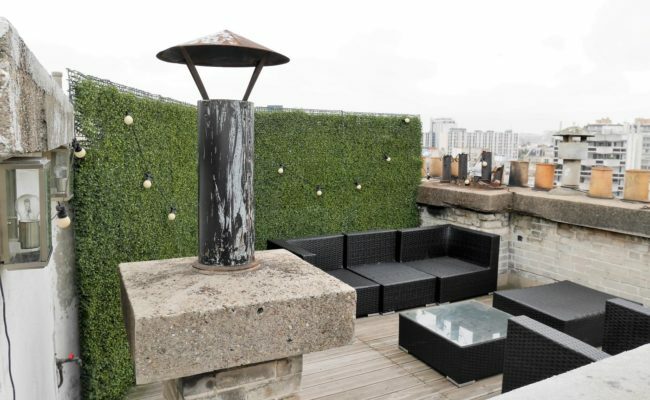 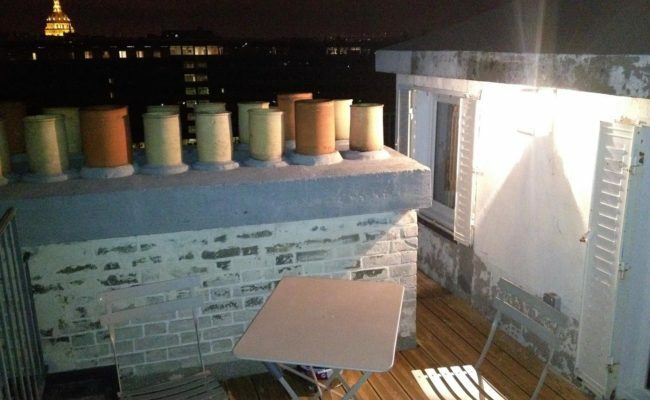 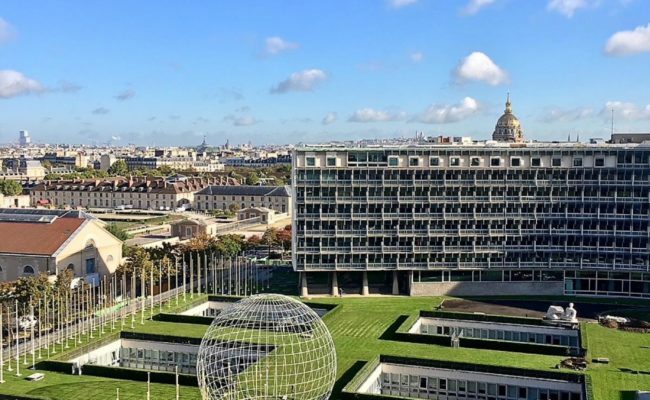 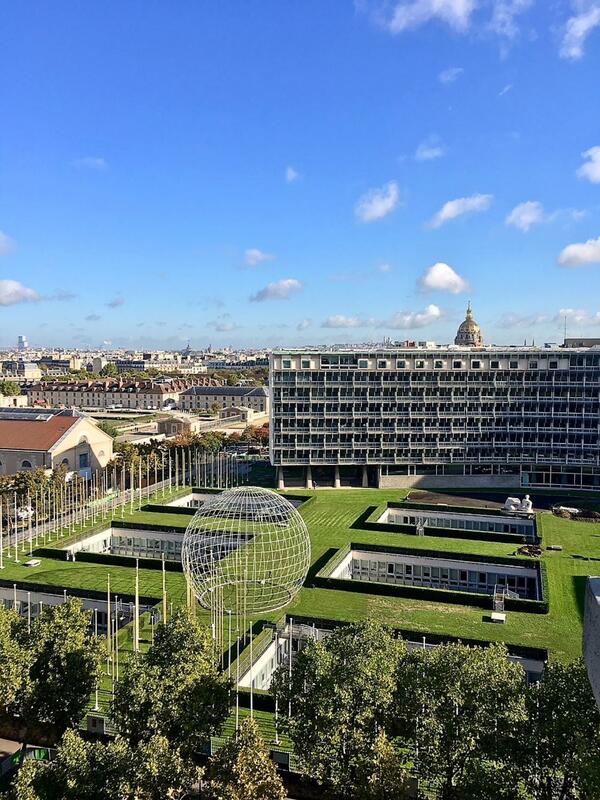 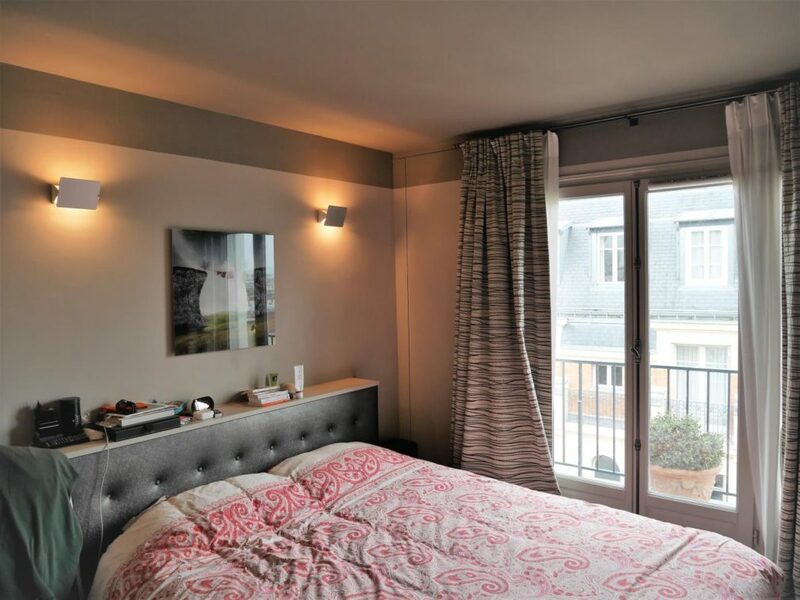 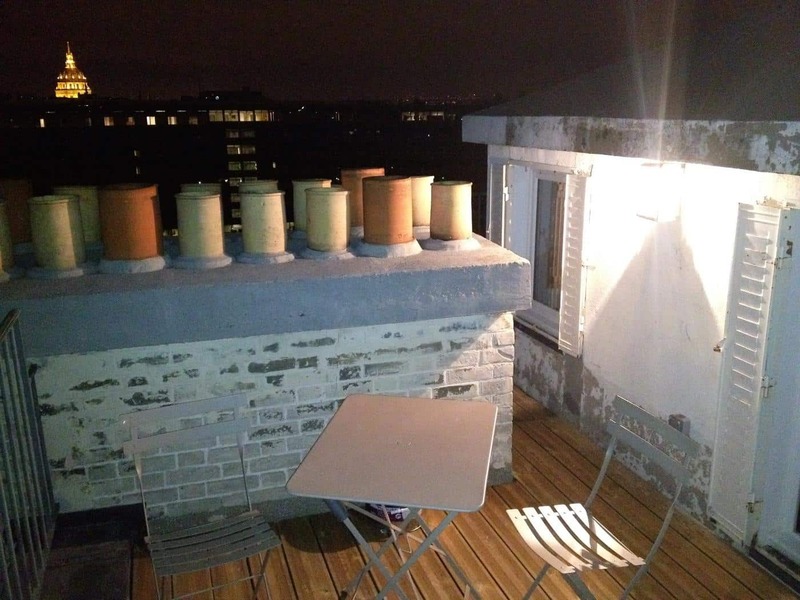 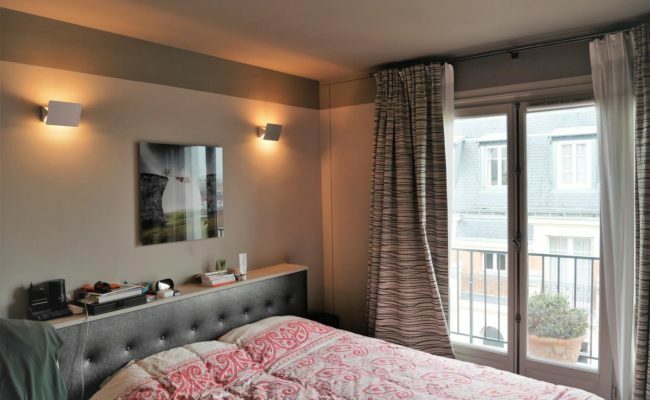 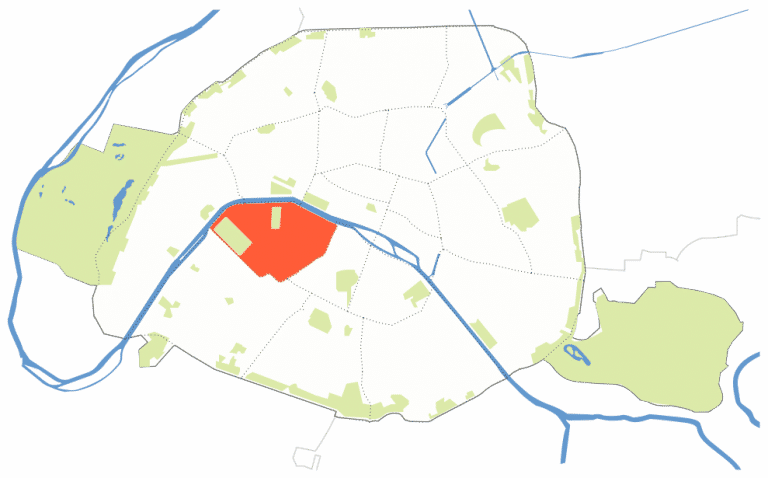 On the top level, a small bedroom or office with a second terrace that gives an exceptional view over Paris.